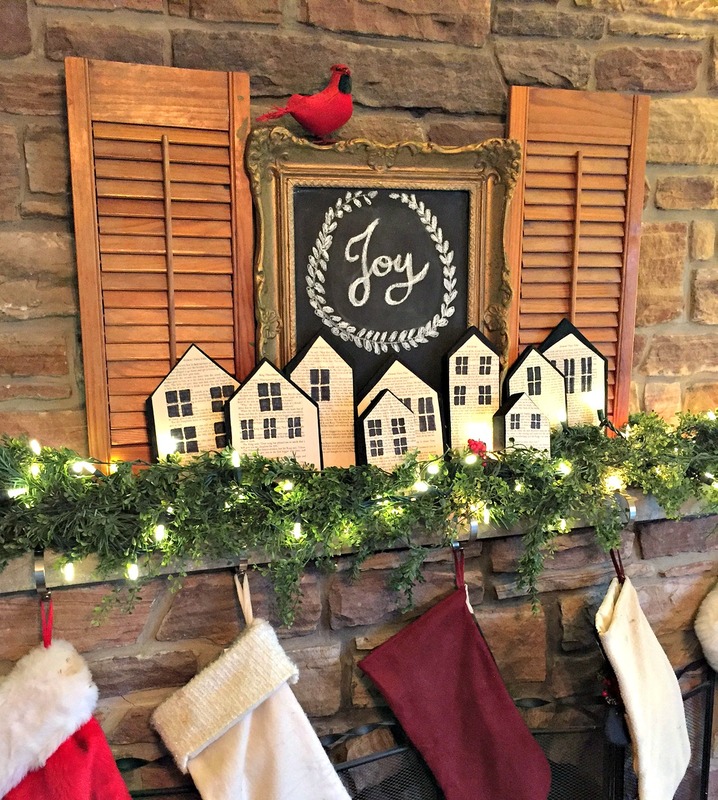 I am so happy to be sharing this Christmas Home Tour with you guys today, as part of the Simply Seasonal Holiday Edition, hosted by Organize Nashville. 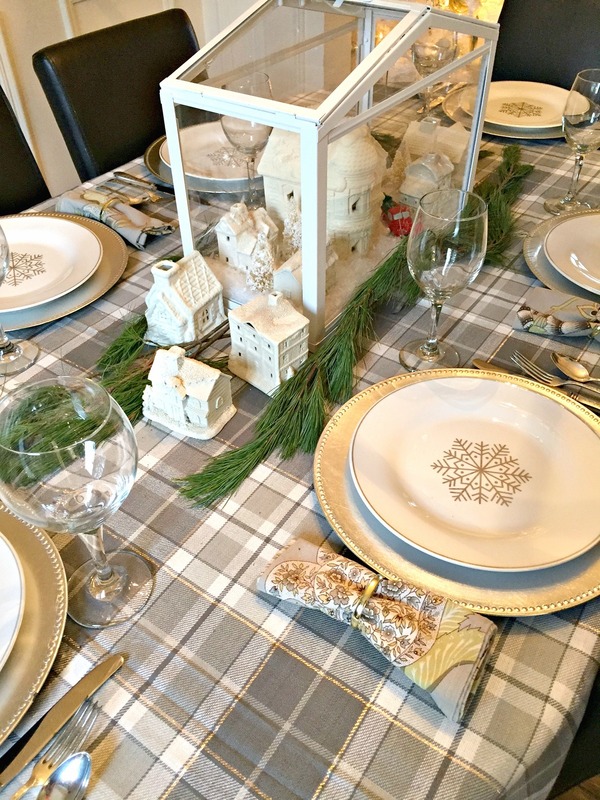 I’ve teamed up with some super talented ladies as part of this Christmas blog hop, where we will welcome you into our homes for a Christmas Home Tour as well as offer some tips and tricks on how we all decorate for the holidays. If you’re here from Our Crafty Mom, then welcome. Don’t you just love Michelle’s cozy and classic style? We’ll start our tour on my front porch, where I am currently “storing” this antique dresser that I plan on transforming into a bathroom vanity some time in the new year. So, I figured why not make it a focal point and add some Christmas cheer? 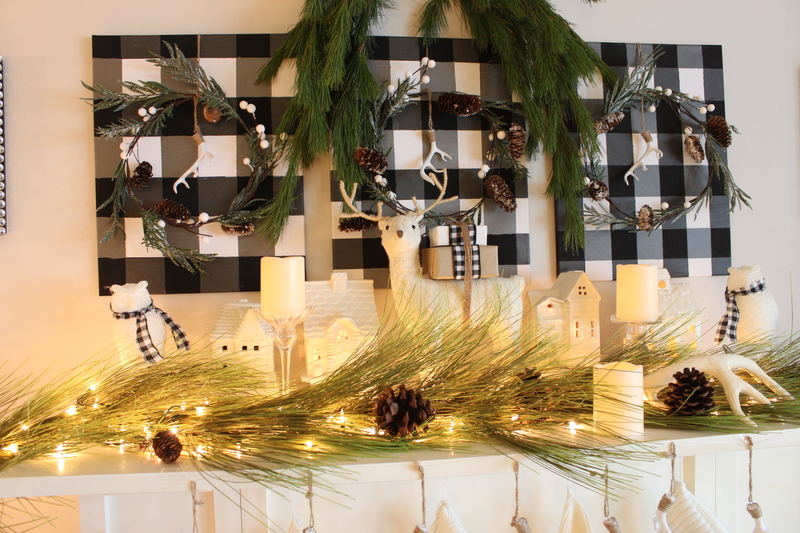 Holiday decorating should create a sense of joy and magic, so choose a specific theme or colour scheme for your home. If you find an amazing garland, a pack of coloured ornaments, or even a fun little sweater reindeer that you love, make that your focal point and build your colour scheme around that. I prefer neutrals, so going with a cream, buffalo check and beige scheme was an easy choice for me. 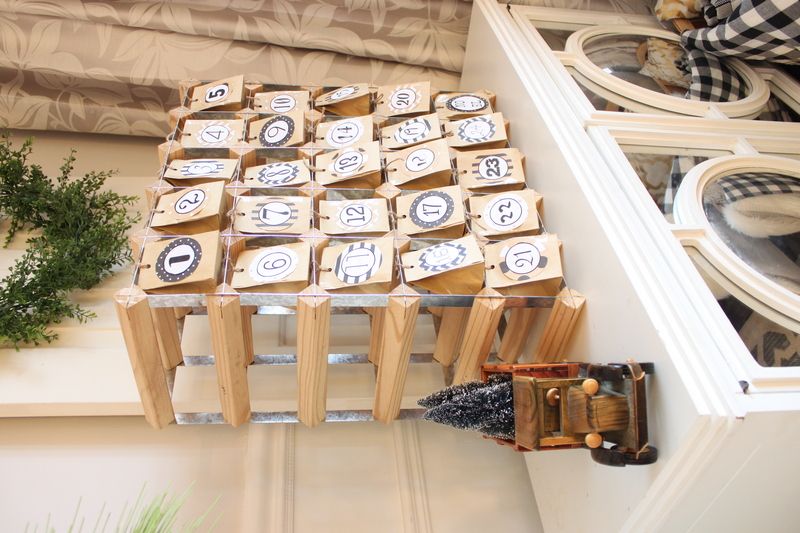 This fun advent calendar was a recent DIY project I completed. I transformed this thrift store wine rack into a cute alternative to the traditional advent calendar. 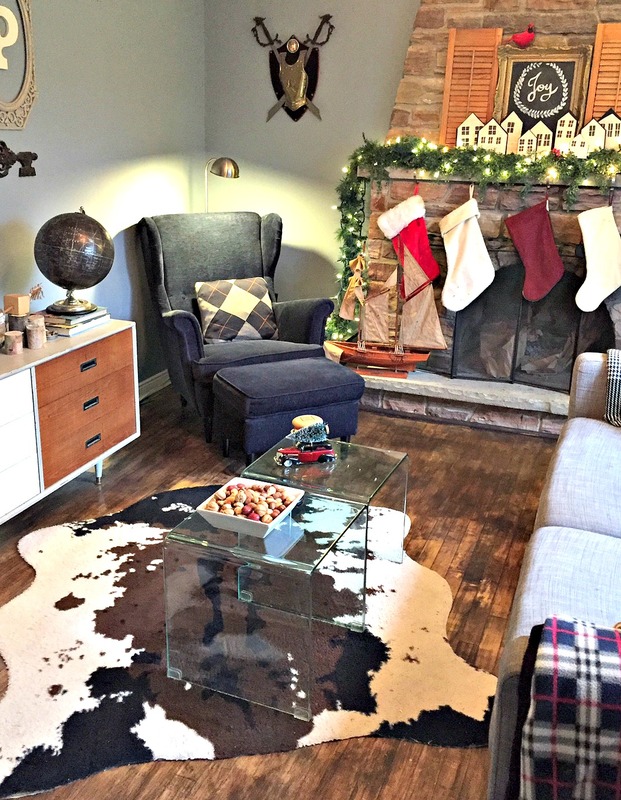 In my home, my cozy reindeer set the tone for the neutral décor with pops of metallic in gold, silver and gun metal grey. I’ve had this white tree for years, and it usually gets set up in the basement, however this year I decided to make it our main Christmas tree while sticking to metallic, mirrored, and clear glass ornaments, all accented with white lights. I found some cheap cream coloured sweaters at a thrift store and made a set of sweater stockings. These were then paired with some cute antler ornaments that I turned into a garland for my fireplace. The living room leads into the dining room where I continue with the neutral and calm colours. 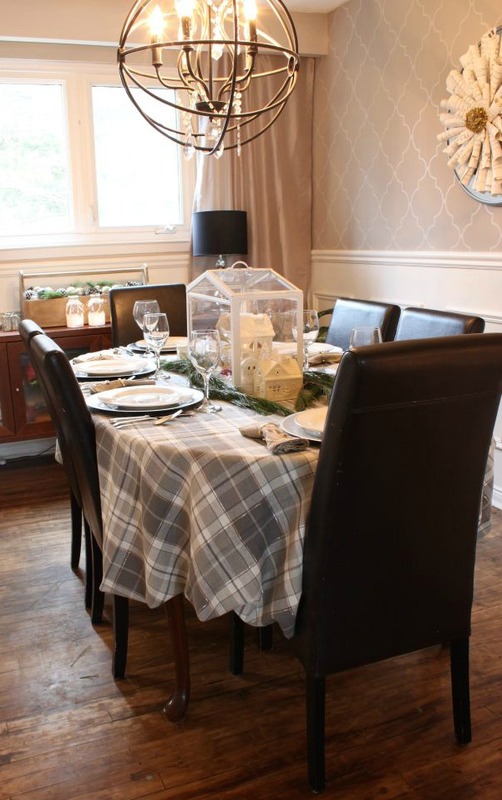 In the dining room, I used a grey plaid tablecloth, which coordinates with the wallpaper. These two very different patterns work together because they are in the same colour family so they don’t compete with each other. 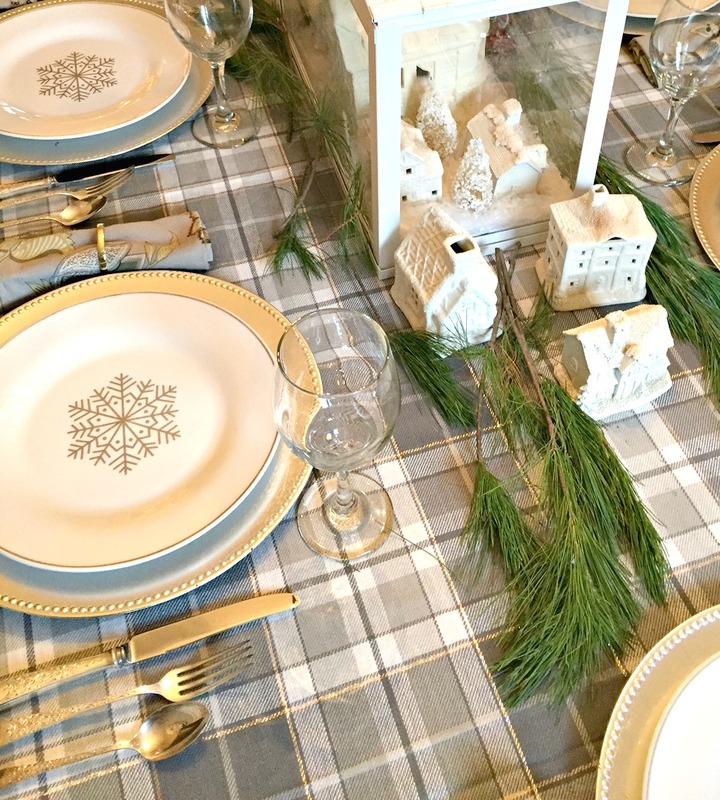 I also used metallics and cream tones on my tablescape with the chargers, ornaments and Christmas village, which create a cohesive look with the adjacent living room. 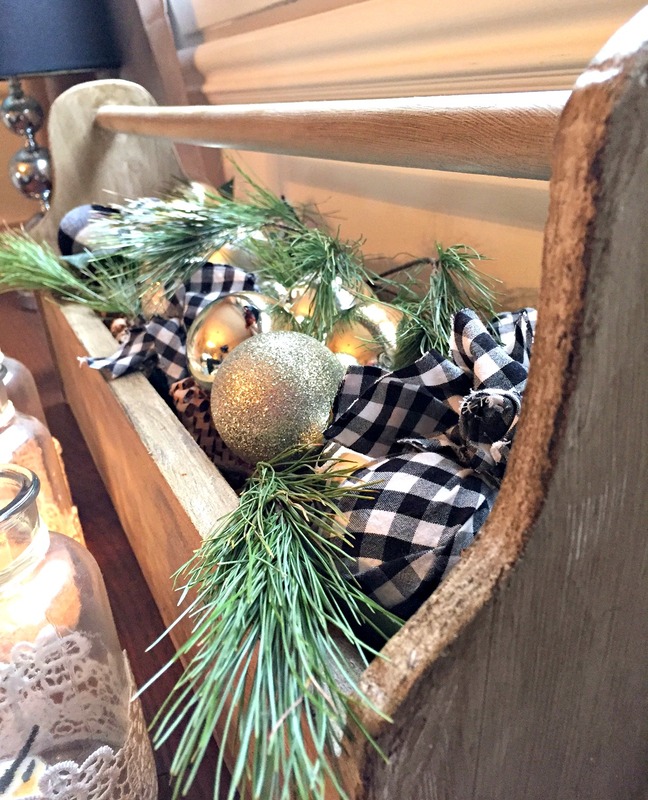 I typically use faux garland and wreaths in my home, but I also love to use fresh greenery whenever possible when decorating for Christmas. I found some inexpensive tree clippings at my local garden center and used them around my home as part of the décor. The clippings come in a big bundle and only need an occasional spritz of water to keep them fresh. I used the clippings above my mantel in a bough, on my antique dresser on the porch and then I moved on to the dining room table. I LOVE how these can instantly make any space feel Christmassy. I even added some greenery to my vintage toolbox. Off the kitchen is our den, where we spend a lot of time watching tv and reading. Since most of the house is light and airy, we decided that this room would have a more masculine feel. Maybe it’s a ying and yang thang…. Lol. 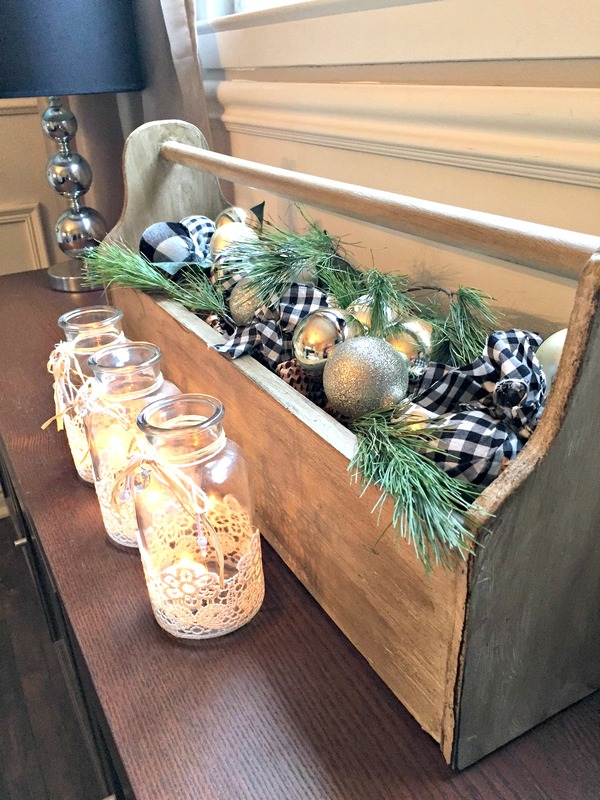 This differing style from the rest of the house demands a different Christmas vibe as well, and I typically go more “rustic” in this space. 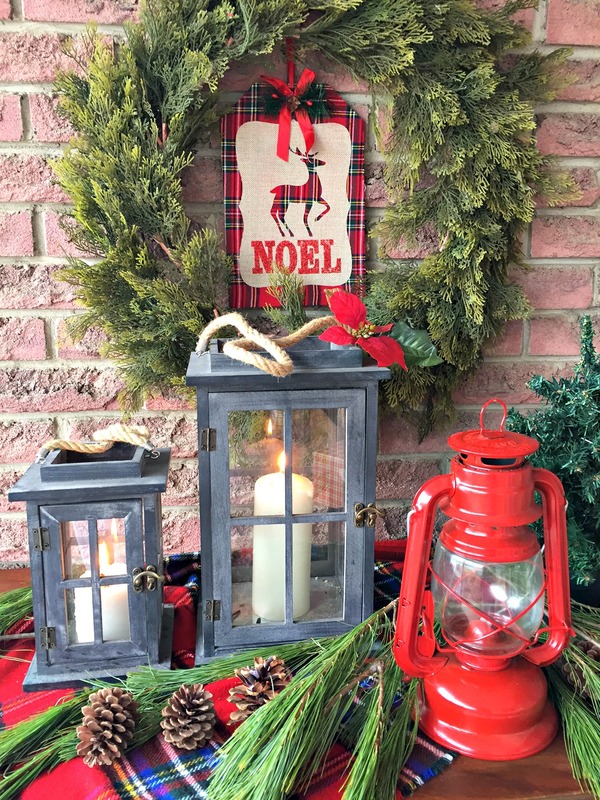 Check out how I made these easy wood houses here —–> Christmas Wood Block Houses. Let’s get real here… December is COLD! Although I can’t stand the cold, I do love a warm cozy fireplace. Getting cozy can consist of curling up in a warm fuzzy blanket, a comfy pair of slippers, or even investing in a fireplace. 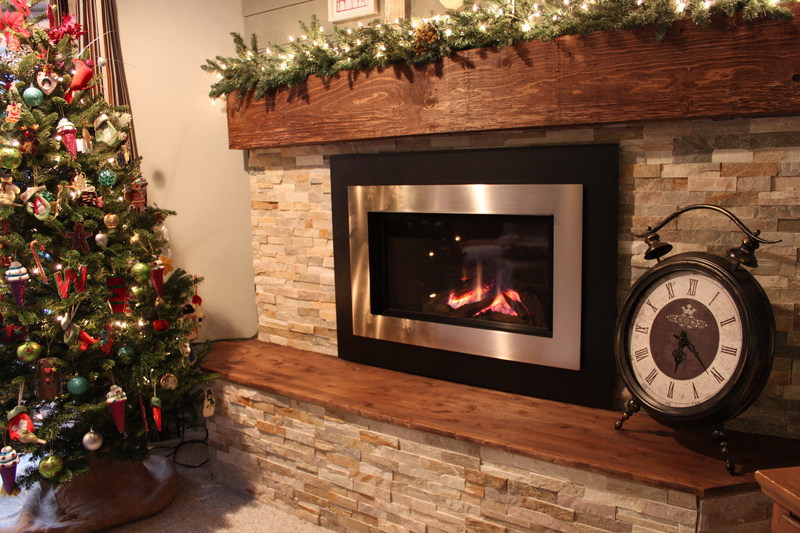 There are different fireplace options that suit any budget, and can all look fantastic. 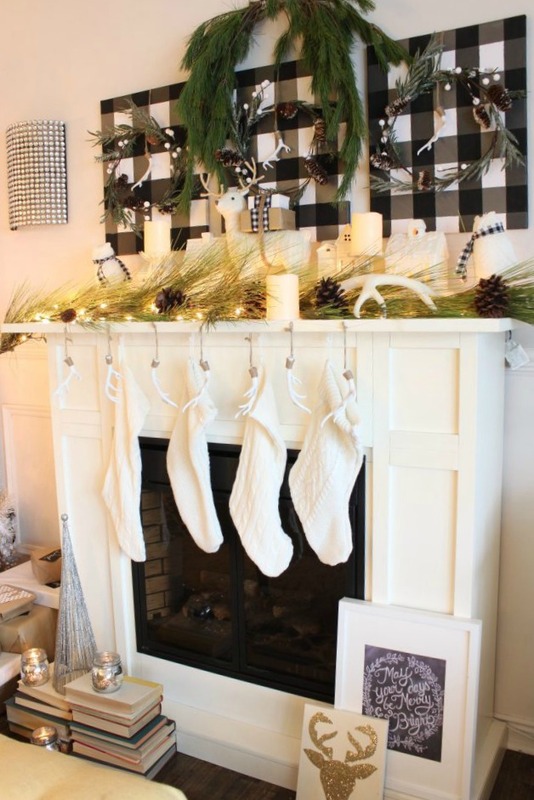 Plus, you need a place to hang your stockings after all. We have a total of 3 fireplaces in our home. The white one in the living room is an inexpensive electric fireplace I found on a local buy & sell site. Our den has a wood burning fireplace, which has its pros and cons for sure. I love the crackle and ambiance of a real fire, but it can be messy. And lastly, we have a gas fireplace in our basement (and I’ll be putting together a post all about the fireplace shenanigans soon). 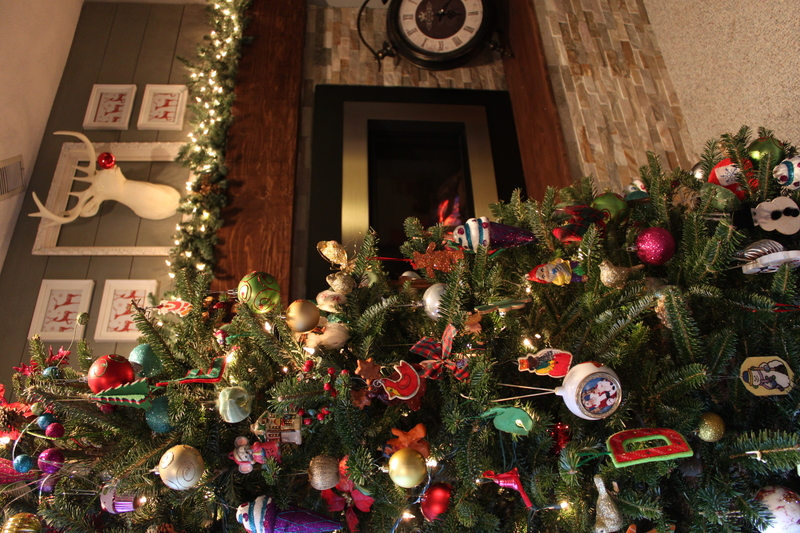 Every Christmas, this room is devoted to our “Family Christmas Tree” where we put all our ornaments made by the kids, along with all their favourite decorations that don’t colour coordinate at all. We opted for a real tree this year and I’m loving the fresh pine scent. 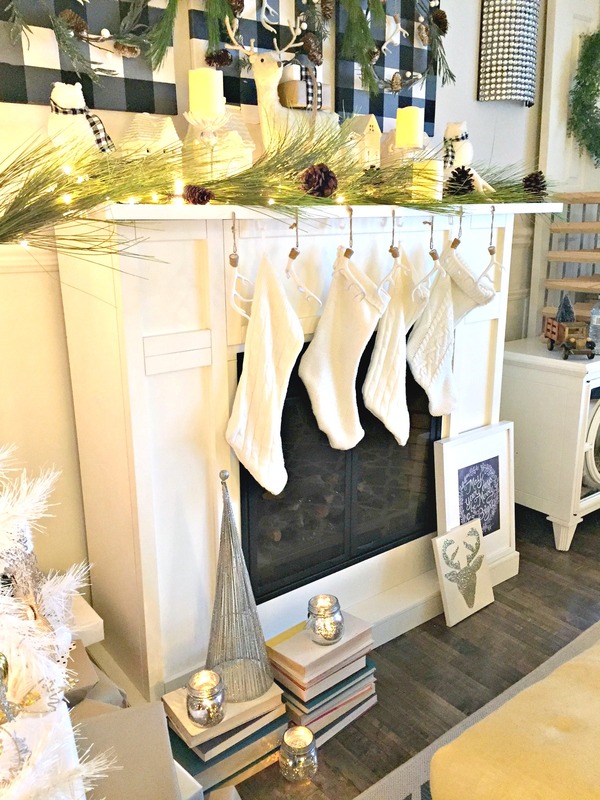 Thank you so much for joining us on a tour and from A Purdy Little House, we wish you and your family a very Merry Christmas and please be sure to check out the next Christmas Home Tour on our blog hop, which is the gorgeous home of Shelley from Roots North and South blog. What great ideas. 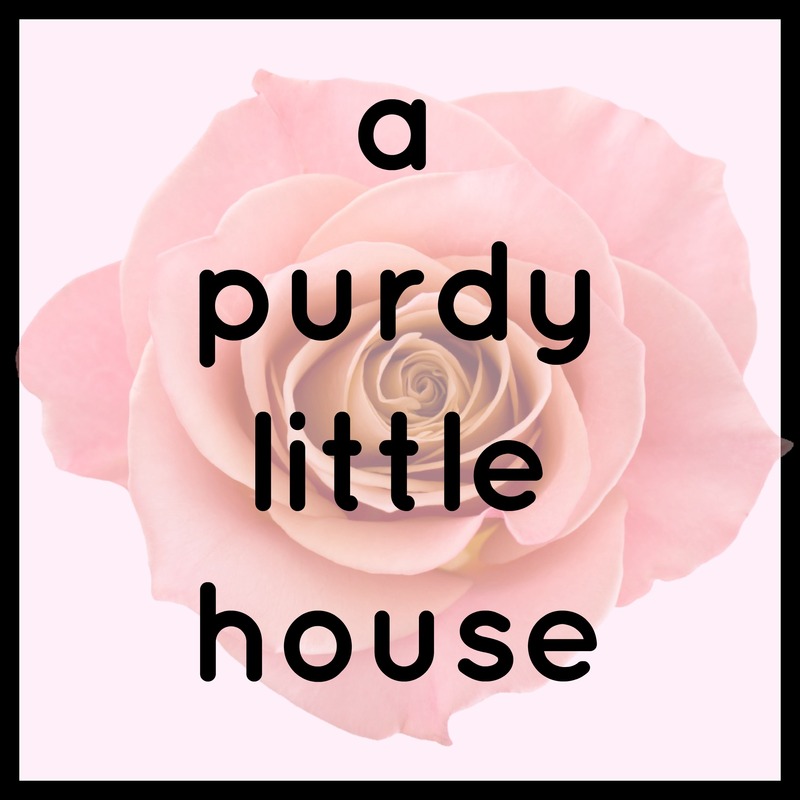 Your house looks so beautiful!! Your tree is so gorgeous, and I love the wrapping on all your presents! What a festive, beautiful tour. Thank you so much for stopping by Emily. I hope you have a wonderful Christmas. Sue, your home is just beautiful! I love all of the cream and black mixed with the greenery. So pretty! It’s also so nice to meet a fellow blogger from Ontario! (I’m in Ottawa!) Hope you are having a wonderful Christmas season. Thanks so much Lisa for your sweet comments. Yay for Ontario bloggers!!! I hope you have a very merry Christmas. I was mentally making a list of my favorite items to comment on and seriously lost track because I loved so many things! All the buffalo check definitely tops the list though! Thank you so much Amanda. You are too sweet. I hope you have a very merry Christmas. Finding an inspiration piece is always a good place to start. Your Christmas home looks beautiful. I too have a tiny tree (yours is big) for family and kid made ornaments. Thanks so much Zan. I hope you have a very merry Christmas. I really love your front porch! I’m sure that dresser will make a fine vanity, but it also looks great decked out for the holidays! And your white tree is positively stunning! So pretty! I love the white tree with the gold! It looks like it’s glowing! Thank you so much. Merry Christmas. I love it all! 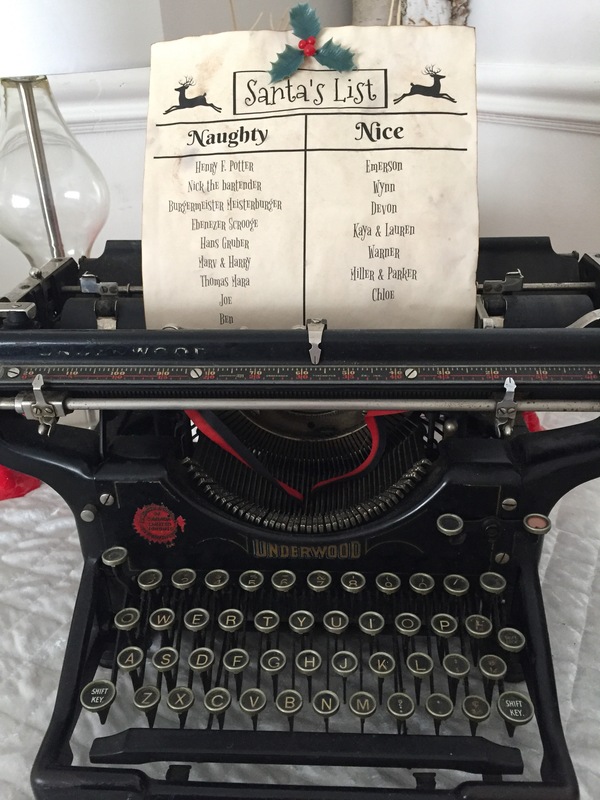 The porch…the buffalo check…the typewriter! Fabulous! Love your antique dresser vignette but blown away with your living and dining! 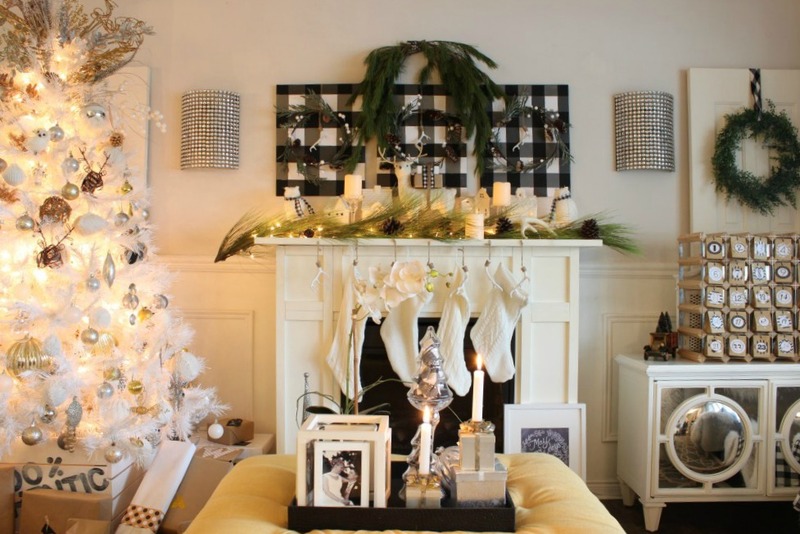 Adore the advent calendar and the buffalo checks! 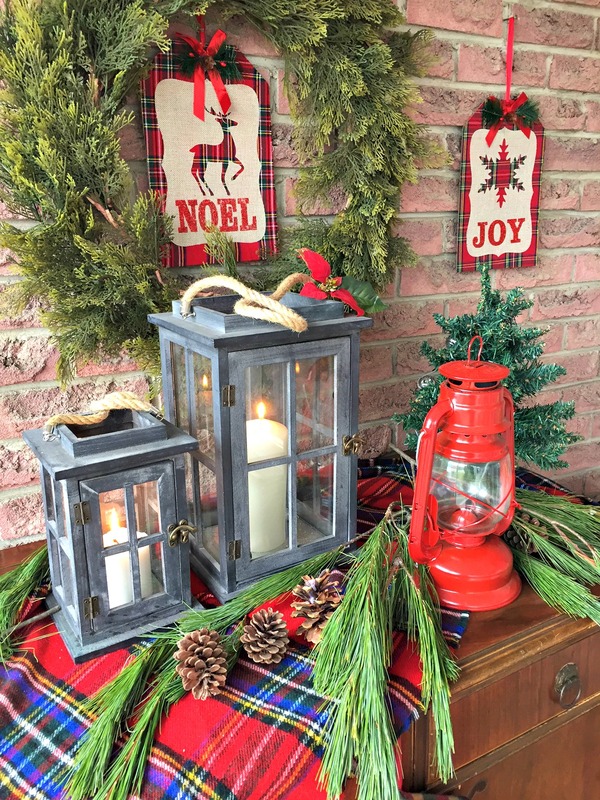 Thank you for joining the 12 days of Holiday homes Link party! Hope you have time to check out my home tour as well! Merry Christmas Sue! Thank you so much. It was great hopping with you too. Merry Christmas. Sue, what an absolutely beautiful home you have! I can’t stop looking at that white tree! I seriously want it 🙂 The pops of color you have throughout is just stunning. Merry Christmas! Thanks so much Michelle. I’m so glad you like it. I picked up that white tree used from a guy selling it online for $25. What a steal, huh? I am in love with your white Christmas tree and the buffalo checks. Your porch is gorgeous with all the red and rustic touches! Thank you Julie for stopping by. Merry Christmas. I just love all of your festive touches!! Your front porch looks so good. 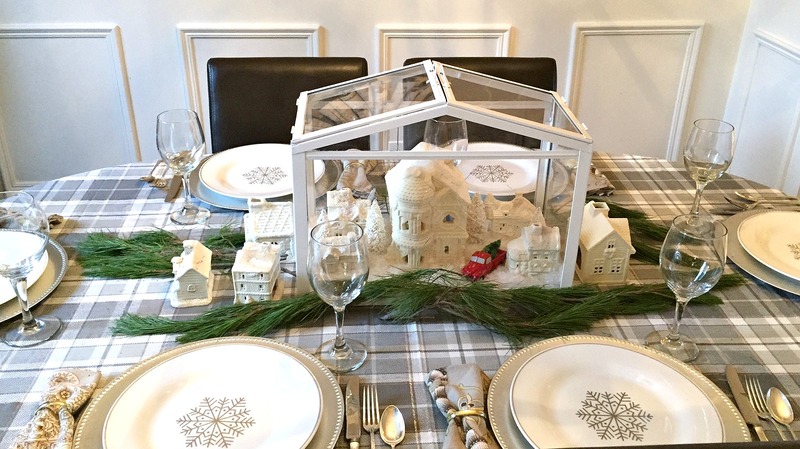 I love your dining room table and that advent calendar! Happy holidays! Looking good Sue! Love all the little details, beautiful! Pinning! I am in love with your whole house! 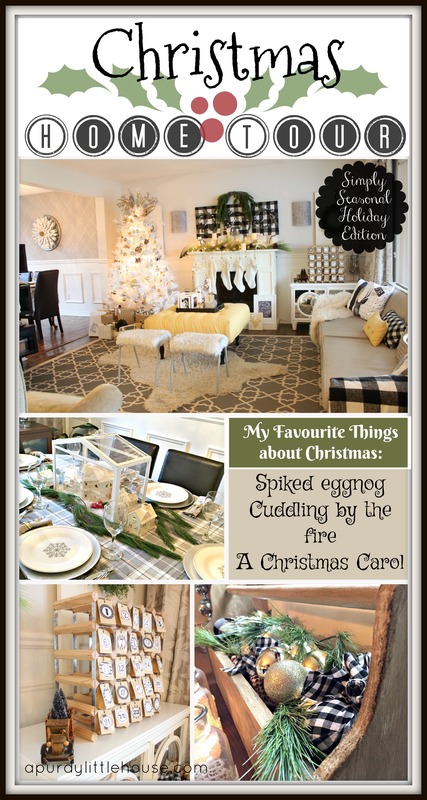 Thank you for sharing all your great Christmas decorating ideas with us. Just beautiful! Merry Christmas! Your porch is right out of my dreams. I absolutely adore it!! And al the white in your house makes my heart pitter patter. Its absolutely stunning. 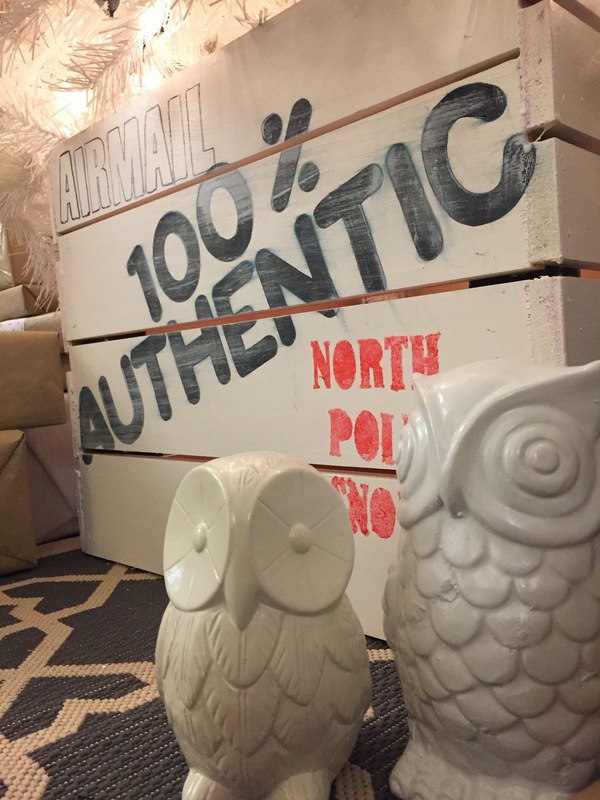 You did a great job bringing the holidays into your home and making it warm and inviting. 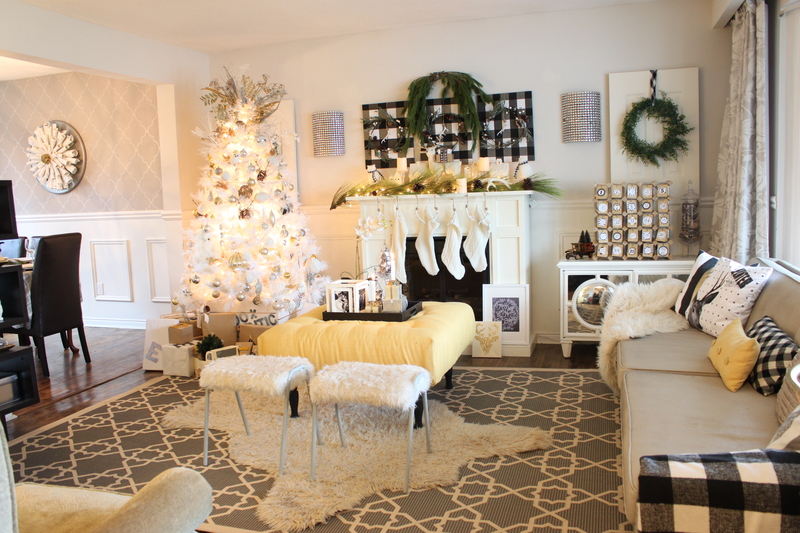 GORGEOUS…your home is absolutely stunning in its holiday refinery. Love the buffalo check and your creativity! Your house is gorgeous! Love the dining room chandelier too. It all looks so festive and beautiful… Thanks for sharing! Beautiful tour. 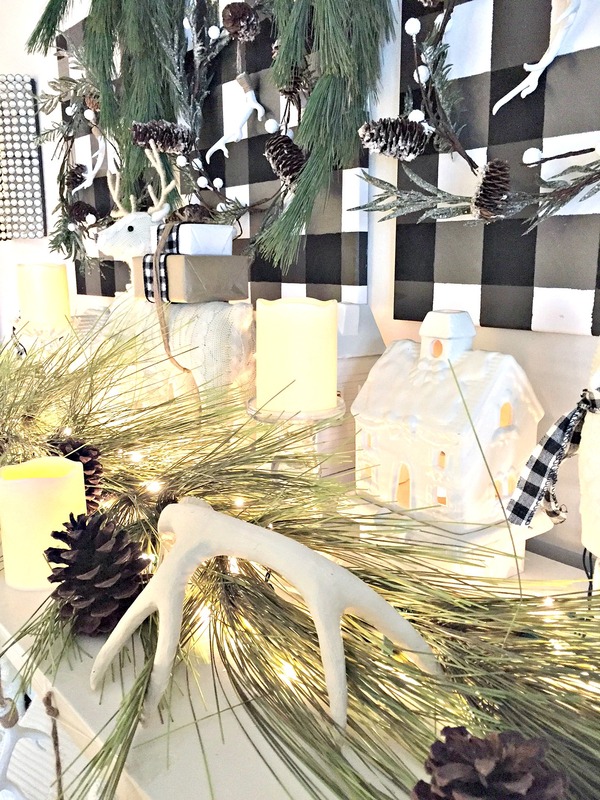 I love the buffalo check and if I were you, that dresser may just stay put for future seasonal decorating! So cute. Merry Christmas! Wow love the fireplace, I love the plaid fabric and that tool box is brilliant. I love your table! 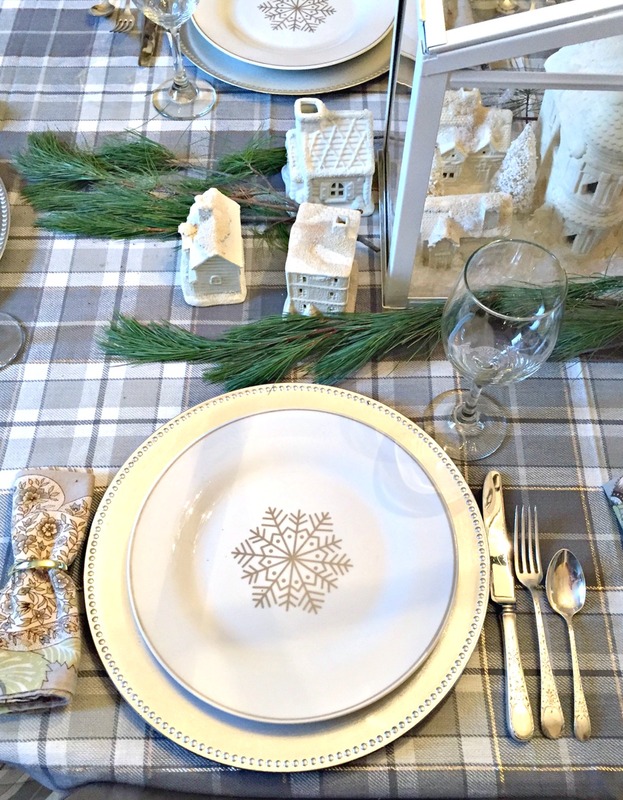 The plaid tablecloth immediately caught my eye, and I LOVE the idea of a Christmas Village as the centerpiece. I’ll have to try that next year!! Thank you Lora. Let me know how yours turns out. I love seeing something used in an unexpected way. Merry Christmas. I can never get enough of your incredible taste and extraordinary skill! I am always in awe! Beautiful! Thank you Jess. You have made my day. I’m so happy to have you following along. Merry Christmas. Wow! 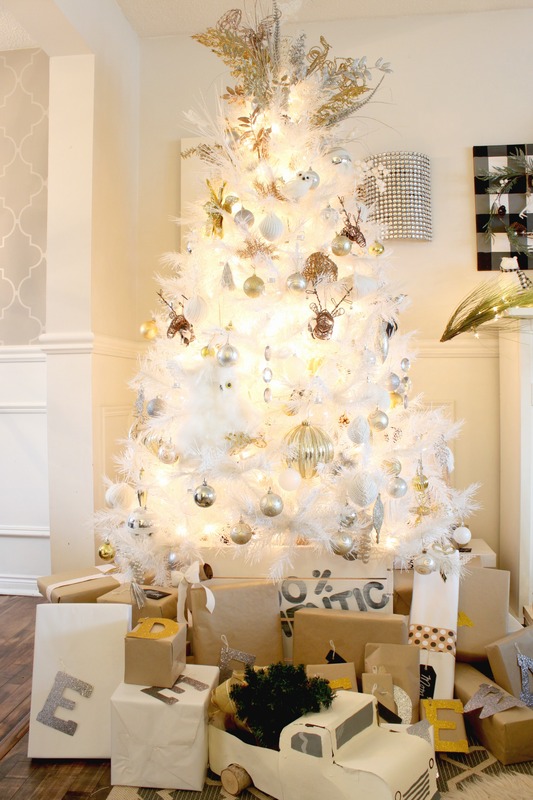 I have to admit, I’ve never given a white tree much thought…until I saw yours!! Stunning! Pinning and sharing. Thank you so much Jeanette. You are so sweet, and I’m totally into white this year, so this tree was a perfect fit. Merry Christmas, and thank you so so much for pinning and sharing.